The Foundation will organise the I Humanics Spring Festival on April 06, 2020. If, you are interested in attending the Lecture, please, arrive at the Green Space, just outside Old Vic Theatre at The Cut, at the Junction of Waterloo Road, in Waterloo. If, you, need any help about finding the space, call the telephone number, found in the Contact Page. We are sad that this sudden illness has caused this much disruption so that the Festival can not be had this year but this is how life is: it is not and can not be scripted. However, we are glad and thankful that we are still here and we will get back to normality as soon as Mother Nature allows.:::ω. || February 28: 2019 || ά. 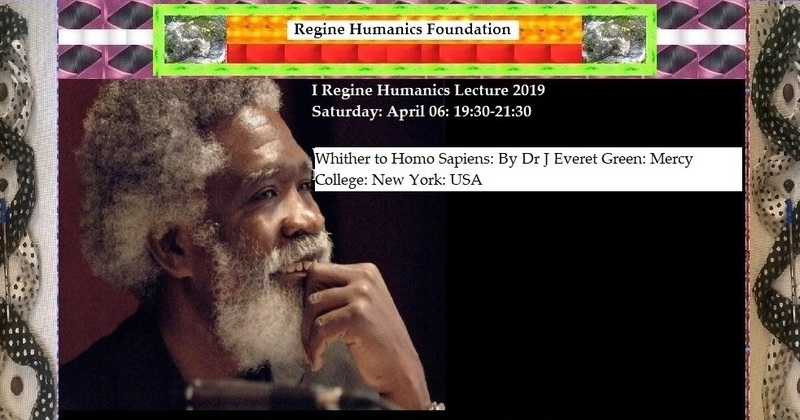 We have, just about, five weeks to go for I Humanics Spring Festival and I Regine Humanics Lecture 2019. Around central London, at community spaces our promotional materials are now seeking people’s attention and inviting everyone to join us in celebration of humanity, our human connections and bonds throughout the day. The Festival takes place, during the day, Saturday, April 06, 12:00-17:30 and the Lecture is in the evening, 19:30-21:30. Dr J Everet Green, who is to deliver the Lecture, informs us that his tickets are booked and The Greens are preparing to cross the pond to join us. People are booking their tickets. We invite everyone to join us to begin something new, that will not only bring us together today but, also, keep on going and keep on keeping us together every year, getting stronger in our bonds and connections. Back in time, all those years ago, decades ago, when we were developing the ideas and visions of humanics in building up the narrative of Dehumanisation of Humanity, dehumanisation was not marking, moulding and ravaging humanity as savagely as it is now doing. It can not be over emphasised as to how vital it is for humanity to acknowledge, register how, terribly, existential a threat these monstrosities of dehumanisation of humanity poses to humanity and human existence. There is no other way but to see the philosophical imperative to make a stand and a choice to fight these monstrosities of dehumanisation of humanity. In a nutshell, the movement of the human condition can be summarised as this: that before us we have an ideal of what we would call, the vision to create civic societies under the rule of law in natural justice and in this vision are incorporated as two sides of a folded piece of paper, in which, this vision is written: equality and liberty. Or, simply, that the human condition strives at every nano-second of existence towards reaching this state of equality and liberty in a civic society. All this can be said as: towards civic societies and away from jingoistic sociology of evil. Dehumanisation of humanity has been taking us towards the jingoistic sociology of evil: the more we get away from our vision and ideal of reaching civic societies the more and closer we get to the jingoistic sociology of evil. These two are the two opposing ends between which lies our choice: unless we choose to strive to achieve civic societies we fail ourselves in reaching the human condition, that will have given us the means to exist as humanity as an infinity unfolding itself and, in this failure we, then, let the jingoistic sociology of evil rise, thrive and get strengthened and strangle, suffocate and savage us into becoming the exact opposite of what humanity is and can be. The current state of the world and the desperate human condition we have going is the evidence museum to support this view about our state of affairs. We invite you all to join us in making a stand against dehumanisation of humanity and for seeking to unite and strengthen our human oneness, diversity, bonds and connections and in seeking to create a soul-commune-ecology of humanity in our realities of our persons, our beings, our families, our communities, our localities and our society in the contemporaneous realities, comprised of time, space and location, with us being rooted in them as a beautiful tree in a beautiful ‘Kew Gardens’. And, we, humanity, as this metaphorical tree, live and exist as mother nature intended us to do, in good health and mind and state of well being when we create and expand two sets of metaphorical roots: one going in the depth of the earth and one rising towards the infinity of the heavens and with these two sets of roots we bring in the ‘goodness’, that is required to feed, nurture, support, enhance and foster our very humanity. We have friends and fellow humanion spread all across England, Northern Ireland, Scotland and Wales and all other parts of Europe and the world, who have been part of all we did: at Poets’ Letter: Poets’ Letter Print Magazine, Poets’ Letter Online Magazine, Poets' Letter Fiction, Poets' Letter Youth Lit, Poets' Letter Philosophia, Poets’ Letter Poetry Performance and Music Series in Covent Garden and throughout all the London Poetry Festivals so far. We invite everyone of these friends to our new events: come and join us, once again: from Isle of Wight, from Reading, from Inverness, from Edinburgh, from Belfast, from Manchester, from Sale, from Dorset to Darlington, from Great Yarmouth to Lymington Spa to Bristol, from Cardigan to Land’s End, from Ullapool to Coventry, from Newham to Twickenham. Come and join us. We invite everyone, every human being and every organisation of all kinds to join us and support our effort to create a platform to gather ourselves in celebrations of our humanity, our human oneness and diversity, our human bonds and connections and create a soul-commune-ecology of humanity from which the world and world humanity can draw inspiration. There are many ways people can join in. Join the Festival as an artist, poet, author, playwright, performer, singer, musicians, bands, cultural groups, community theatres or book clubs, to read from one’s novel, to read poetry, to perform a scene from a play or sing. There will be various kinds of stalls all around while there will be many types of events taking place throughout the day of the Festival. We invite and welcome all kinds of businesses and organisations, from restaurants and cafes, selling food and drink, to bookshops and boutiques, art and craft stalls, artists painting people’s portrait, artists face painting, artists making animals for children. Or researchers presenting their research to advance their public engagements. We invite all community groups, community organisations, voluntary and charity organisations, research and learning institutions and any other type of agencies, that work with people, that needs to communicate with people to join in and promote their offerings to the people of London. We invite all local authorities of London, particularly, their social services to join us and use the Festival as a communication hub to promote their services, i.e, fostering, adoption etc. We invite all other people and agencies to take part with a stall. Come and join us. Bookings of stalls can be made online. We invite all types of businesses, small, medium and large, national and local, to join us and open stalls, promoting their services and products, particularly, banks and other trade and commerce bodies, where they have special products and services and initiatives, scholarships, opportunities for internships, work experience or training opportunities, initiatives promoting and advancing equality and anti discriminatory practices, green and sustainable products and transports, green and sustainable investment and other opportunities. We invite people to volunteer for these two events. Join us and help us create a truly community festival. Book your stall, book your slot for joining in performing, book your ticket. Tell people about the Festival and the Lecture. If, you need our promotional materials, leaflets and posters, chances are you can find them at the nearest community space to you, in Central London areas. If, not, let us know and we can post some to you. In just five weeks, we look forward to welcome the entire of London and beyond at the first Humanics Spring Festival and the first Regine Humanics Lecture 2019: you are invited, your family and friends are invited, your organisation and your colleagues are invited. Everyone is welcome: join us, join in and let us unfold the infinity, that we are, together: See you on Saturday: April 06: 2019.:::ω. || January 07: 2018 || ά. The First Humanics Spring Festival 2019 is to take place on Saturday, April 06 in London, from 12:00-17:50 and the First Regine Humanics Lecture 2019, taking place on the same day, in the evening, 19:30-21:30. The Festival and the Lecture tickets, free to book, are now open for people to book from either Regine Humanics Foundation Ltd Event Brite page or directly from The Foundation website. The Festival is a platform to bring together people in one place with creative, social, cultural and interexchange-bound activities, that create lasting human connections, bonds and relationships and in participating and getting engaged in these activities people create the socio-cultural ecology, that supports and nurtures humanity and human existence: the idea is to take part, get engaged and interact, connect and form relationships. Theses enrich everyone. They connect, they bond, they form and they take forward. A lot of new friendships will be made, out of which, a great deal of new things and initiatives will emerge in the future and there is the milestone: to return every year at the same time. Humanics Spring Festival is a challenge to all, that dehumanisation, mechanisation, manipulation, directing and herding of humanity and all the distortive, devastating and defragmenting profiteering and naked consumerism advanced by the entire distorteddia conglomerate against humanity, against the reality, in which humanity must exist and, most of all, their merciless, ruthless and ever-going onslaught against the human person, against the human agency of the human mind. There can not exist humanity unless there exists the thinking, questioning, learning, judging and developing human mind, with all of which, it makes judgments and choices and by these judgments and choices it makes and crafts its nature: its being and doing human. These distorteddia conglomerate, all are distorting and dismantling our reality, devastating our real life and communities and everything is dragged down, as, if, we humans are hapless animals and must get washed away into and by this deluge. Human intelligence is being massacred by the devastations imposed by the ruthless capitalism and the no-end consumerism without regards to consequences, that allocates no education to the vast chunks of humanity, no employment, homelessness, rough sleeping, hunger, malnutrition, severe and acute malnutrition, destitution, illnesses, existence in shanty towns and on-going slaughter of all forms of illnesses and conditions, that are easily treatable and, yet, these distorteddia conglomerate keep on telling humanity that its primary purpose is to support the development of, what they are spending billions to impose on humanity, artificial intelligence, which is the grandest lie ever concocted, since, intelligence exists and is the grand signature of mother nature, that it exists in living mechanism alone! That, what is intelligent, resides in nature alone and in living systems as part of that same nature and the ultimate proof of this intelligence is in this fact that all natural living things evolve. That is the intelligence and that is the evolutionary mechanism of intelligence: eternal learning: to keep on learning and making better. They, these distorteddia conglomerate want to keep silent on the massacre of human intelligence and want humanity to get all excited by their grand mechanisation for profiteering! But we are not hapless animals: as William Shakespeare put out hundreds of years ago: we, humanity, is the ‘paragon of animals’. We are so not because we are mighty with sheer physical power, in this, as individual and, even, as one humanity, we have very little physical power compared to the mighty power of mother nature but, we are the ‘paragon of animals’ because we have the architecture of rationality in our constitution and with and by which we are capable of understanding, which we derive through our continuous learning and development and all this gives us the knowledge to form the windows of wisdom so that humanity becomes an eternal phoenix with eternal and infinites wings of windows of wisdom, which keep on being developed further, taking us wider and farther. By this we are capable of questioning and analysing and judging and, thus, making choices. All this is done by a human mind, an agency of the human mind and this agency of the individual human mind exists in the one ecology of the one soul-commune of all-humanity as one and in one. These marketeers and the distorteddia conglomerate do not want us to see and realise: that we are a one ecology of the one soul-commune of all-humanity as and in one. We as individual human agency of the human mind exist as the inviolable sanctum of the humanity individual as the water drop exists but all water drops exist as one-soul commune of water in the ocean, in the one ocean. The health and well-being of the ocean depends on the health and well-being of all water drops or, if, the ocean is sick the water drops, too, are sick. Humanics challenges the entire edifice of this capitalism’s monstrosity and challenges humanity to rise to seize this infinity, that awaits in each and every one of us and bring this infinity into existence, into reality. And let this humanity bring down to dust all the impositions of the false-understanding of what a human mind is and what it is capable of doing and being. This humanity, this we, this us, this you and this I, is, therefore, one with one genome, one blood, one cardiology, one neurology, one breath, one assistantial homeogenesis in one ecology of the one soul-commune of all-humanity as one and in one, we are one: this humanity is an infinity unfolding itself. This humanical view challenges the entire edifice of the globalised capitalism and all the mechanisms, that go with it, that says this can not be done, that can not be done and so on. Humanics says this that anything and everything is possible so long we believe in that possibility because by the sheer faith in the vision of something, in the idea of something, we create that possibility as prospect and by this we bring it further up the invisible space of imagination so that it now follows the nine-step-realm-path of becoming and goes up and rises towards reality. There was nothing, called, Dehumanisation of Humanity. Then, it came about. There was nothing, called, humanics. Then, it came about. There was no Humanics Spring Festival and now there is: it has come about and it will go on being about. This is how things come up from imagination to reality but without reality there is no humanity for humanity is this ‘architect’, this ‘artist’, that brings about things from imagination through using human creativity and ingenuity, into reality and, thus, it enriches, enhances and advances the reality or the human condition. This is why dehumanisation must be fought and all the distorteddia conglomerate and the entire market-profiteers and their ruthless manipulation to destroy and devastate the reality, destroy and dismantle the agency of the human mind and bring about the ruthless monstrosity of machines and manipulations as humanity perishes away, paying the price of all these ever-going attacks. We invite readers to explore the vision of humanics, the ideas this vision brings about and elaborate and empathise what we are seeking to put forward. 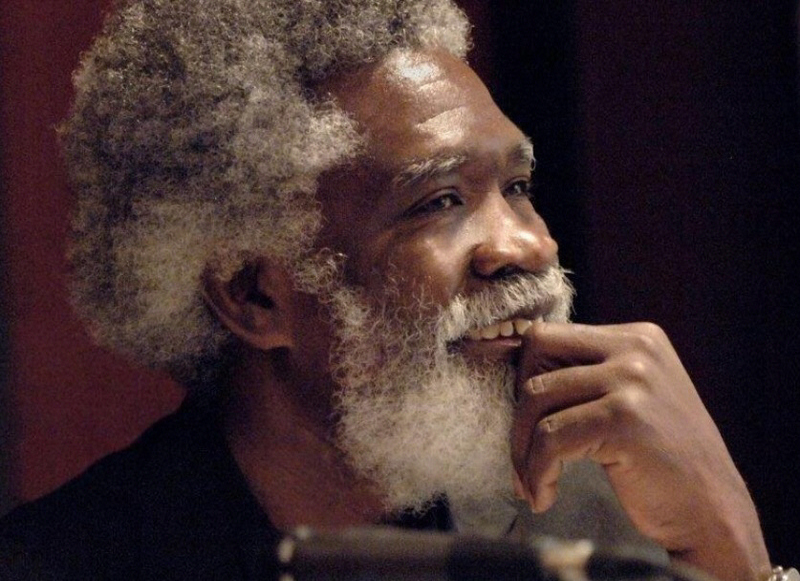 It is the most vital and most urgent task before us, except, this most urgent and most vital task, is not going to be funded by the capitalist mechanisms nor will be it be promoted and championed by the distorteddia. 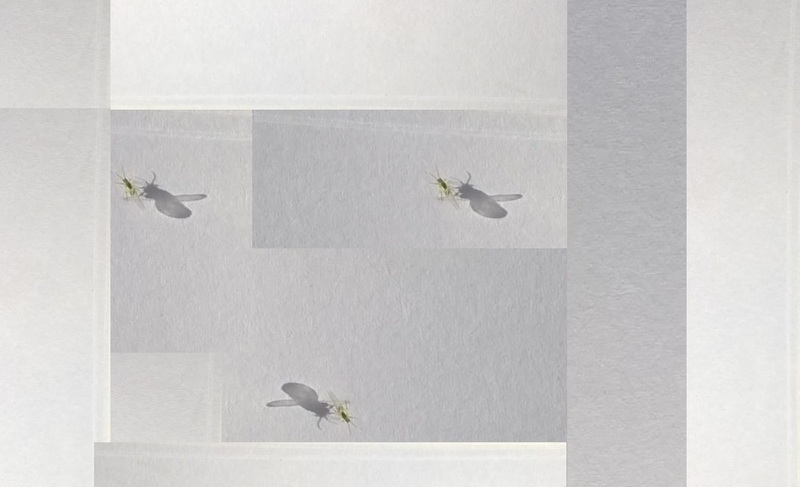 It relies on, as it has always done since the dawn of humanity, to the questioning, asking, learning and developing mind: to evaluate, to question, to analyse, to assess, to envision any new vision or idea so to make a judgment, so to make a choice: as to whether a vision, a set of ideas and the ecology of concepts they showcase are capable of being such, that will advance the human condition: in political philosophy, in political economics, in governance and public affairs management system, in jurisprudence, in sociological, cultural and spiritual ecology of the society, a civic society, where the individual human exists in natural justice so that they are at home in that soul-commune of all-humanity. Humanics invites everyone to rise and seize this future, which shall only become our future, if, we choose to work for it, to invest in it, all we are and all we have, to guide it through the nine-step-realm-path of becoming and, only, than, one day, it shall become reality. And, now, are the practicalities of the First Humanics Spring Festival 2019. There will be on-going events throughout the day where music, readings, recitals, performances and presentations will take place for people to enjoy while there will be all kinds of stalls, all kinds of food and drink, art and craft, face painting and other information and public liaison stalls and so on. There will be stalls run by organisations, agencies, businesses and offices of public and community leaders attending the Festival to be involved with the people, attending the Festival. If, you are a musician or an artist or a singer or a band or a community theatre group or any other kind of cultural group, you need to book your slot for taking part and contributing to the Festival. These slots are going to be allocated on a first come first serve basis. Booking these slots are free. You take part and contribute to the Festival. The Festival and the Lecture are free events, although, a voluntary contribution is invited from everyone, tickets must be booked for these two events, which can be done, through the Event Brite Page of The Foundation or from The Foundation website. People and agencies wanting to take part with a stall should book their stall in advance, which can be done from The Foundation website. These stalls are going to be allocated as first come first serve. If, you can book it, it means there is a stall. When they run out the booking will stop. We are recruiting 21 volunteers for both the Humanics Spring Festival and Regine Humanics Lecture. Apply for volunteering: ideally, these volunteers are from all across London, all Greater London. 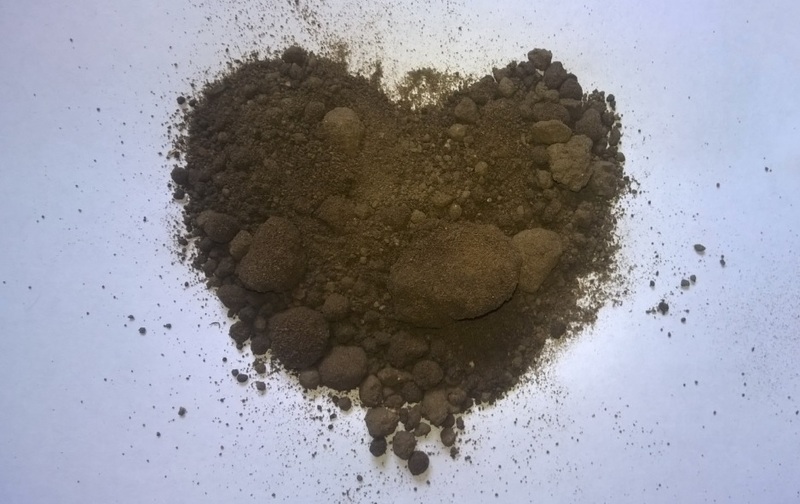 You spend a little time on The Humanion website and Regine Humanics Foundation Ltd website and decide whether these are the kind of ideas, that you would like to get involved in promoting and supporting. If, you find affinity towards what we stand for, what we believe in and what we are seeking to try and do. i.e, humanics, humanical society, human enterprise, humanicsovics, humanisation, dehumanisation, rehumanisation, empowerment of humanity and reality, empowerment of the individuals, families and communities, equality between and among all humans and gender equality and bringing people, humanity, communities together in a connected ecology of humanionship, you are welcome to apply. Please, send your cv with all your contact details to reginehumanics at reginehumanicsfoundation.com. The deadline: February 28. The volunteers will be provided with the necessary training and support for the task. Travel expenses will be reimbursed and food and drink during the day will be provided for. There is no other payment. You should be able to attend an afternoon session of induction training, lasting couple of hours, in central London during mid March. And, on the day of the events, you should be able to be attend the Festival from 10:00 till 22:00 since the volunteers are joining us for two events, taking place in the same day. Keep taking the word to all the humanity you know, in reality and in real life about the Festival and the Lecture. Time to rise to celebrate all things humanity in reality.:::ω. || October 03: 2018 || ά. 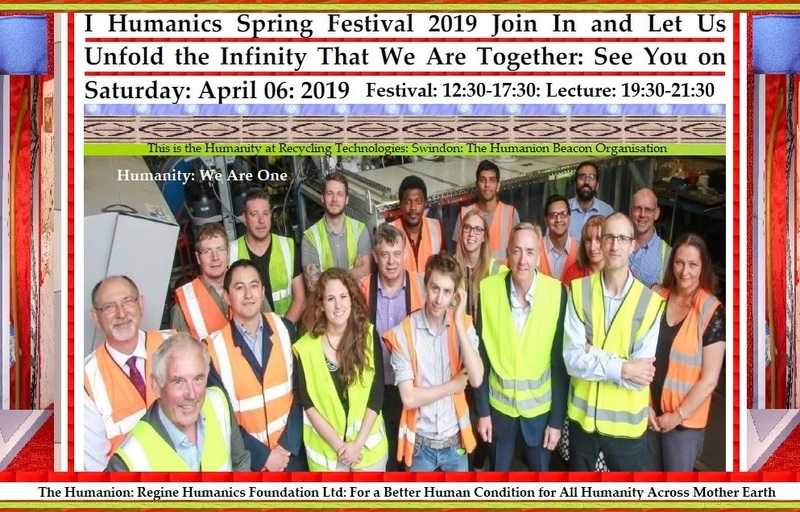 The First Humanics Spring Festival 2019 will take place on Saturday, April 06, 2019 in London. The Festival will be an annual festival, taking place on every April 06, celebrating the awe-inspiring endeavours, attempts, efforts, initiatives, projects, works, actions, creations and achievements of humanity on earth, despite all the desperation, negativity, struggles, suffering, agony, hardships and heartaches, in London. Everyone and every community are welcome. Arts, foods, words, poetry, thoughts, crafts, individuals, families, groups, communities, organisations to bring about a display of real people and real humanity in reality bonding, relating, connecting and conversing and forming and celebrating. Humanics Spring Festival will celebrate all aspects of humanity bringing together all communities, families and spheres in one celebratory faith-affirming event, enabling people to see and get inspired to go on seeking to bring that infinity of humanity waiting to be unfolded into becoming real. This is a celebration of real humanity in reality in real community in real society: the vase in which humanity grows is the reality and the life-force, that supports, feeds, nurtures and strengthens that humanity as the individuals in families, in communities and in society: in reality. Humanics Festival will bring that into a celebration to challenge dehumanisation and the deathly attack of the Distorteddia on humanity. The First Humanics Festival 2019 will be a day-long Festival, where we will celebrate all things humanity, family, community, society and reality and human bonds and connections: essentially, we will invite all artists, poets, musicians, authors and all creative folks to come and display their works and creative endeavours with small stalls whereby the public would come together, wonder about, sit, walk, stand and talk and eat and drink soft and non-alcoholic drinks and all community groups and organisations to join and display their works and promote their activities etc. The Humanics Spring Festival 2019 invites everyone to join in: individuals, agencies, organisations, MPs, MEPs, Councillors, community groups and leaders, youth groups and leaders and all organisations of all types, come and join us in these celebrations. We are seeking to bring about the Festival around a community base so that it can take place both inside a centre and outside from 11:00-17:00. If, any organisation would like to offer the Festival a home, where they can offer a large hall and the outside space for this one day and for this duration we would be delighted. Support Regine Humanics Foundation Ltd. We welcome sponsorship for the Festival. Interested businesses or organisations are welcome to write to us with any offer of sponsorship. Join us at the First Humanics Festival 2019 on April 06. 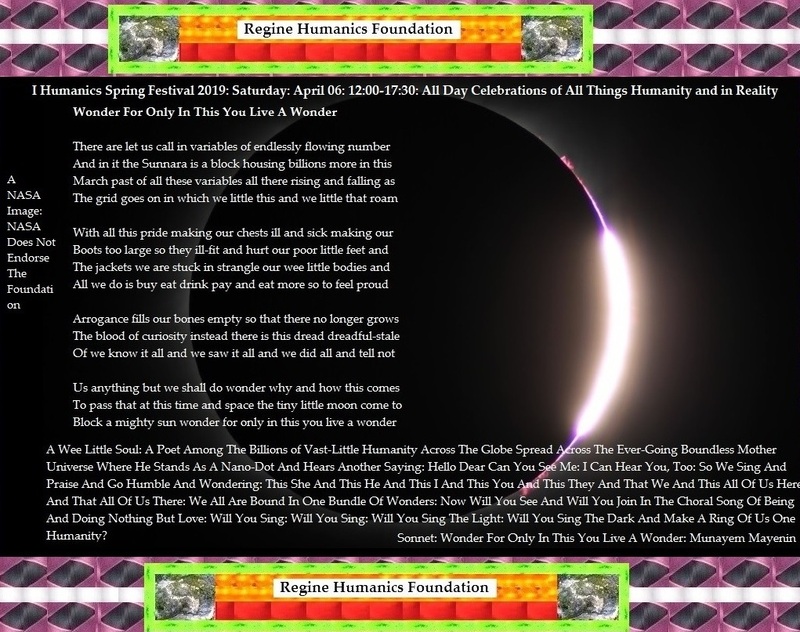 Contact: reginehumanics at reginehumanicsfoundation.com :::ω.